Thank you for choosing to enter in to a counseling relationship with me. I look forward to working with you to help you achieve your personal goals. 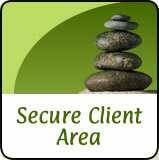 Clicking on this link will take you to my Secure Client Area where you will be asked to register and create an account. It will be through this area that we will conduct any email, chat, or videoconferencing sessions and is completely secure. You will be asked to read and sign my Professional Disclosure Statement, HIPPA policy, Consent Form and Counseling Agreement. Prior to our first session you will also be asked to complete my Client Intake Form so that I can gain a better understanding of your goals in the counseling process. In addition, you can see my availability, schedule appointments, and pay for services. If you do not see a session date or time that works for you please send me an email as I may be able to accommodate you.